One thing I have felt though lately is the immediate need for kids to grow up. When my little one was starting soccer (which was the cutest thing ever), a lot of the kids were referring to movies and characters he had never seen. We’re not big on TV or movies for the kids yet, since they are still young. Our run down of shows to watch for the kids is probably a lot younger than most but they are tried and true favourites: Curious George, Berenstain Bears, Mickey Mouse Clubhouse, Doc McStuffins, Jake and Neverland Pirates, Dinosaur Train, The Backyardigans and Bubble Guppies. There are a few others we have stumbled on, but those are their favourites. I can tell you honestly, that even in these shows, there have been some moments where my little ones were nervous for the outcome of a character that may have been lost or scared. And that brings me to my point. We as parents remember fondly our show and movies from when we were young. What we don’t remember is just when we watched them. I had visions of showing my children Bambi when it came out on DVD recently. Then I thought about the story…mama deer gets shot in the first fifteen minutes and dies. Um…nope. That’s just one example, but really most of my childhood movies had a parental figure die in them. So, my friends, I encourage you to take a look at the shows I’ve mentioned above. 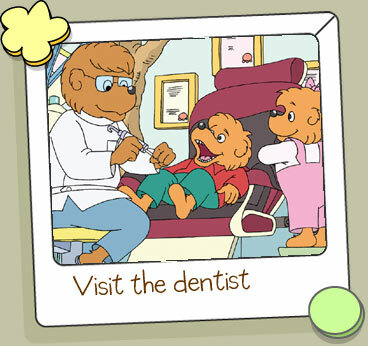 They are educational, not too fast paced and fun for toddlers and preschoolers to watch. Recently a little girl in my son’s school broke her arm. My little one was very concerned for her. So I pulled up the episode where Curious George breaks his leg. It was a great reassurance to him that with time, his friend would feel better. I like to watch the shows with them to see their reaction and discuss the story after to see what they have to tell me. The shows we watch either have an educational element or a great moral. And that is something worth spending time in front of the TV for. If you’ve been following me on Twitter or Facebook, you know I’m trying to organize a big birthday for my three children (more on that later). And this year they have chosen a pirate theme. 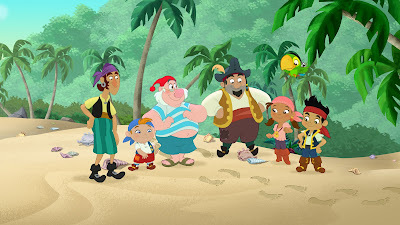 Well, Disney Junior’s Jake and the Neverland Pirates is the reason! It’s fantastic! Nothing scary, and so much fun! For our summer trips, I’m planning to download some episodes on my tablet to have on hand. It’s a great feeling to have shows they are comfortable with when we’re away. So tell me, what shows do your young children like? Have you watched the shows we do? How do you like them? Do you think kids grow up too fast with shows and movies? I’d love to read your comment about this subject! Our girls (3 & 6) watch about 1 hour of tv per WEEK. Not a lot, but there is so much other fun to be had. They have seen Doc McStuffins, and absolutely love it! When my daughter was a toddler, she used to go crazy over the Disney Junior shows. Now, she’s into Phineas and Ferb. Yes, their humor is more for grown ups, I think.